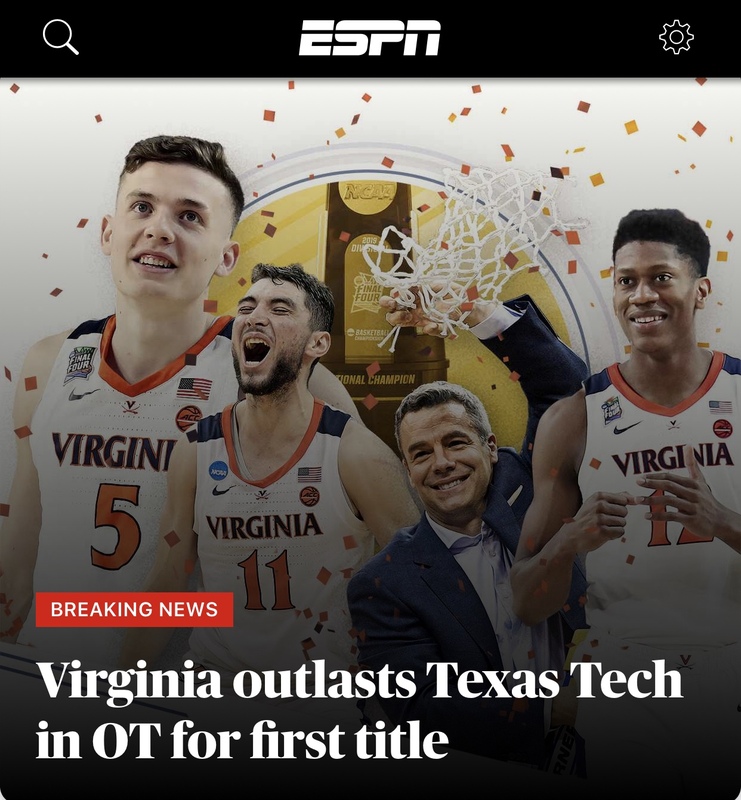 I am still in shock that my beloved University of Virginia Men’s Basketball team has won the 2019 NCAA Men’s Basketball National Championship. This quest brought back so many memories from my days as a manager from 1996-1999. Ups and downs. Many friends made. Tears of disappointment. Heartbreak. And even a story of reconciliation. Thank you God for making the dream of so many connected to The University a reality. Just overwhelmed by the this moment.